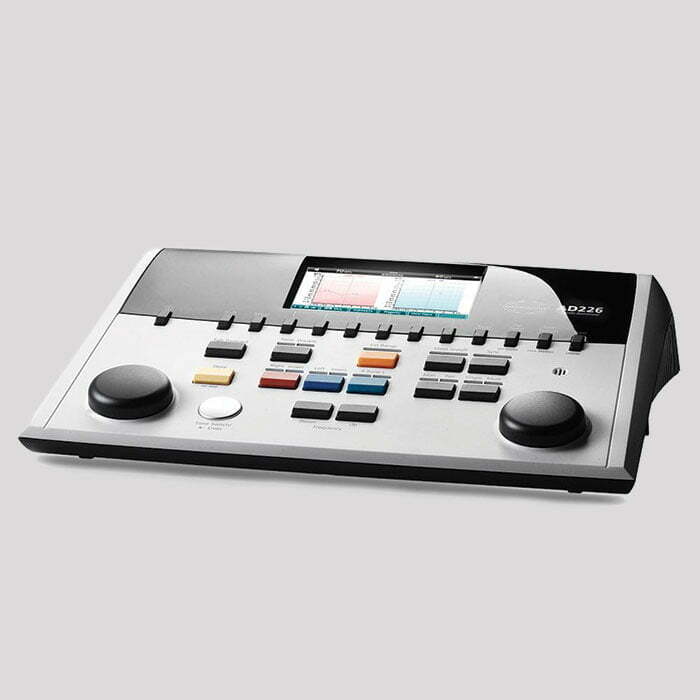 This stylish, modern audiometer is a delight to use with smooth dials and soft touch tone presentation. Results are presented on the high resolution colour display and can be stored for review or download. Print results via optional software or directly to selected printers. Measure the full range of hearing ability with a maximum output of 120dBHL over most test frequencies. Offers flexibility with battery/mains power and “dual calibration” – can store calibration for two different sets of earphones (eg. standard over-the-ear and insert earphones). Also comes with bone conduction and masking if diagnostic audiological testing is required either now at a later date.